Old homes are constructed in different ways and are also put together differently. In fact, replacement, repair or installation of plumbing in old houses needs experience and expertise in the same field. We understand the needs of an old home and so, if you have any kind of problem related to plumbing, you can call us for assistance. 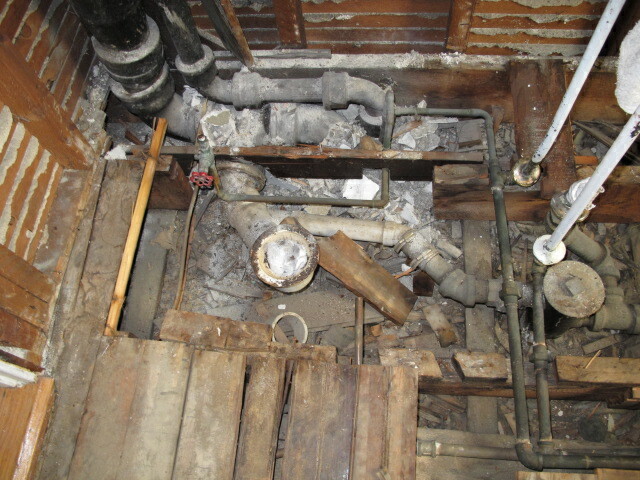 You must have faced problems finding the right parts and fixtures for old home plumbing as this is a real challenge at times. We are experts in finding the right parts and fixtures for you so that your problem gets solved without much hassle and trouble. No matter whether you are looking for replacement of fixtures or wish to repair one, you can call us for any such kind of service. If you are interested in old home remodeling or renovation, call us as we have expert technicians to work in this regard. Not only this our technicians are clean and courteous and will find out the old home problems, give suggestions to you and determine the best possible solution based on your wishes and your condition. If you are interested or you were planning to remodel your old home, call us. Schedule an appointment and our experts will study the problems around. They wear shoe covers and will thoroughly clean up the work area after the work get completed. You can even call us if you need any of our services in emergency and we are not going to charge you any extra for that. All Week also provides drain, sewer services and water heater repairs.